But one of my strengths is determination. And determined I was to finish signing the hundreds and hundreds of pre-ordered copies of my third book. (If you order from here, they will be author signed copies). My mother is visiting me these days, and Satish, my children and my mom got busy opening the cartons and arranging the books for me to sign. I stayed up till 1.00 AM that very night that I arrived from Kolkata. This time it was a smile of supreme satisfaction. And all those crates behind me contain hundreds and hundreds of author signed copies. To know about book signings by authors go here. Of course I will be signing more books at the launch too, which is on Feb 14th, 6.30 PM at Landmark, Forum Mall Bangalore. I will be in conversation with Milan Vohra. Of course I am looking forward to it immensely. If you are in Bangalore, you are most welcome to come and be a part of it all. There is a nice little surprise planned. There are events planned in Pune (18th), Delhi (26th) and Chennai too. Will give you all details closer to date--you can follow my FB page too. ps: Grab my three books HERE. And the fifth one in this link isn't mine! I don't know who it is! The fourth one has two stories by me. 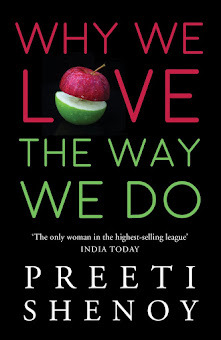 Just when i thought i am the first one :( congrats and best wishes for the book launch Preeti. Cant make it to Bangalore but will try to make it for the event in Chennai. Calcutta is alovely place made worth remembering by the people. When we moved there for a year, people in delhi were aghast at us moving to calcutta, but I'm glad we stayed there and i have lovely memories of the place. OMG FORTY crates!!.. appreciate your hard work and the sweet pain.. and yes one of them be mine in a couple of days..forever :)waiting eagerly to see you in Chennai.. best wishes for your book launch on 14th Feb. It must be a very satisfying ache huh....signing 40 cartons of books:-)). I already have 2 books signed by U, just matter of time before the 3rd one is also on my book shelf;-D.
Me: And I cant wait for you to read it! 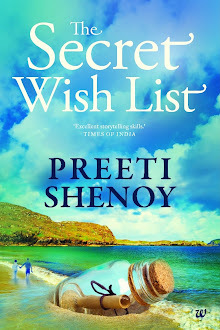 Snehal: Flipkart will stand sending them out today. Suma: :) Yes. Sweet satisfaction. Sayantan: Will see u on 14th then! M waiting for the book....last year I had read "Life is what you make it"
Guess what, I had been to Kolkata recently as well, and your description of the city is apt. It's a city I'd love to go back and visit. Good Luck with the launch...I wish I could attend...unfortunately, I'm working!